Details: Tramlink and Elizabeth Line vehicles will not normally be seen together but this is what Ray found in the Acton Works car park on 8th December 2018. 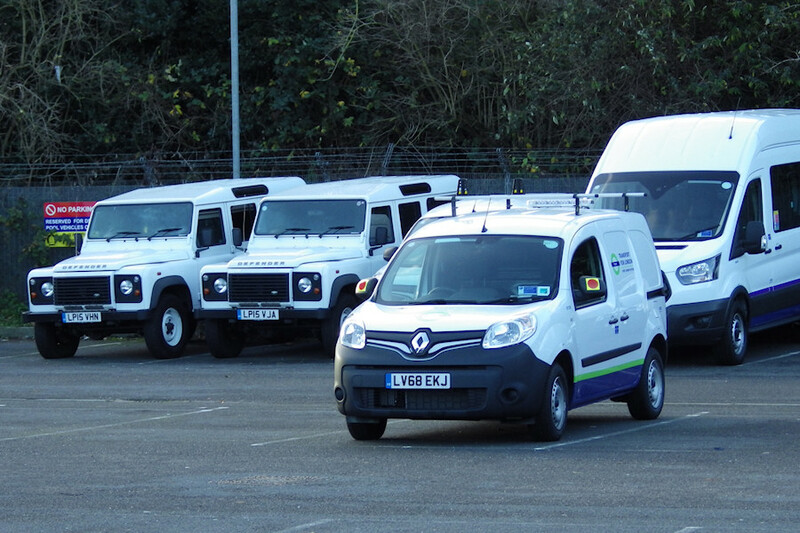 Nearest the camera was newly-delivered Renault Kangoo van 8722R in white/blue/green livery, with Ford Transit crew van 8649F in white/blue/purple parked behind it. Adding to the variety were the pair of unmarked white Land Rover Defenders on the left, these having recently been replaced at Arnos Grove by two new Nissan Navaras.